At Terranea Resort—situated less than an hour from downtown L.A.—the head chef, Basque-born Bernard Ibarra, makes house sea salts by pulling water from the resort’s private stretch of ocean and letting it evaporate in a glass-enclosed conservatory he built in 2016. This water is supernaturally pure and produces salt that is rich in flavor and low in sodium. During his Sea Salt Workshop, guests get a behind-the-scenes tour of the conservatory, and are treated to a tasting in which Ibarra pairs the mineral goods with small bites (for example, grilled pineapple with a smoked sea salt and goat cheese crostini with a rosemary-infused variety). 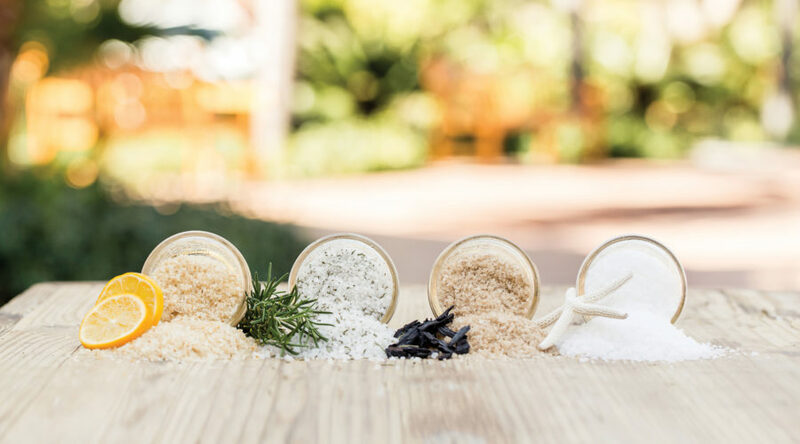 The more food-obsessed can book Terranea’s , which can include the salt workshop, cheesemaking sessions, apiary and farm tours, and epic meals throughout the 102-acre, postcard-perfect spot. Pablo Neruda said the real Mexico could be found within its markets. That may be especially true in the capital city, where more than 300 markets act more like living rooms than retail centers. Ben Herrera grew up wandering the stalls of these open-air gems with his restaurateur family, who frequented the markets for fresh ingredients. 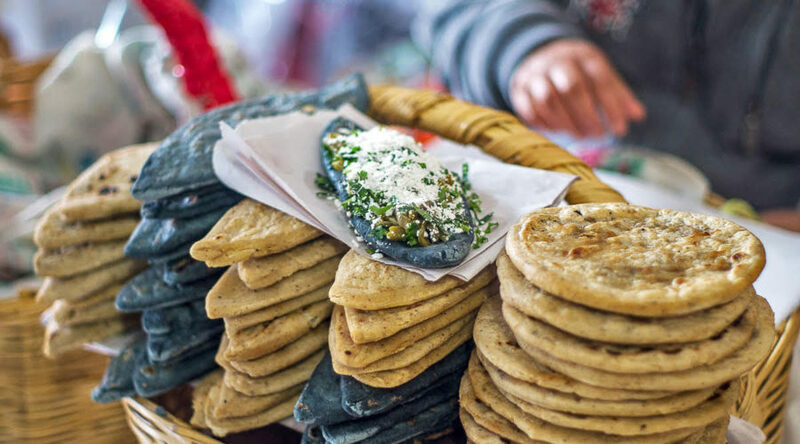 On this tour of Mercado Jamaica, he’ll take you to meet tamale makers and taco savants, learn the secrets to making perfect corn tortillas, and load up on hearty street fare. Located just south of the Zocálo landmark, Jamaica stocks all the tastes and diversity of the bigger and more famous Mercado Merced, but with fewer crowds. And, because Jamaica is also the city’s flower depot, you can expect plenty of eye candy in the form of technicolor blooms you never even knew existed. 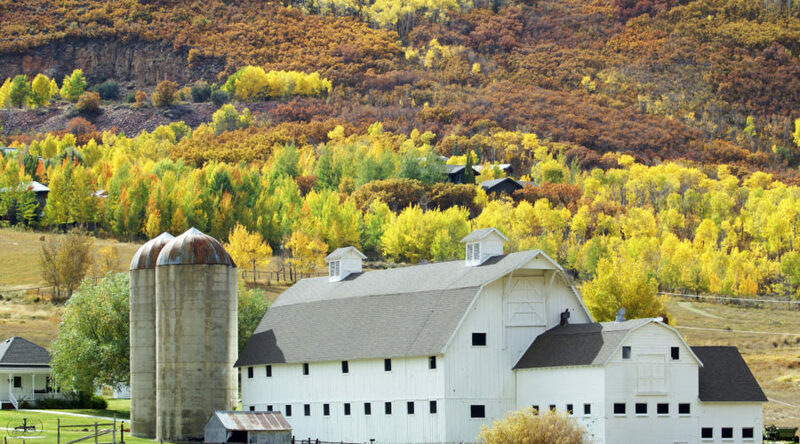 Combine Utah’s winding, mountain roads with Park City’s jaw-dropping landscape and the Waldorf Astoria’s culinary stars, and you have the best darn lunch option in the state. Picture it: After a long, lazy breakfast, the local motorcycle shop drops off a Harley Davidson Street Glide at your posh hotel around 10 a.m. You or your travel companion have a proper license, so you take off for the mountains past views of snow-capped peaks, aspen-filled forests, and meadows dotted with wildlife, as you cruise some of the highest mountain roads in America. Once you settle on an ideal picnic spot (we hear Provo River Falls, on the aptly named Mirror Lake Highway, is particularly striking), you break into your picnic, packed by the resort’s Powder restaurant. There is a classic Waldorf Chicken Wrap, fresh fruit, maybe some crusty breads from Stone Ground Bakery—everything you need to refuel. And the view? Well, it couldn’t be more perfect. Ojai is becoming one heck of a honey town. 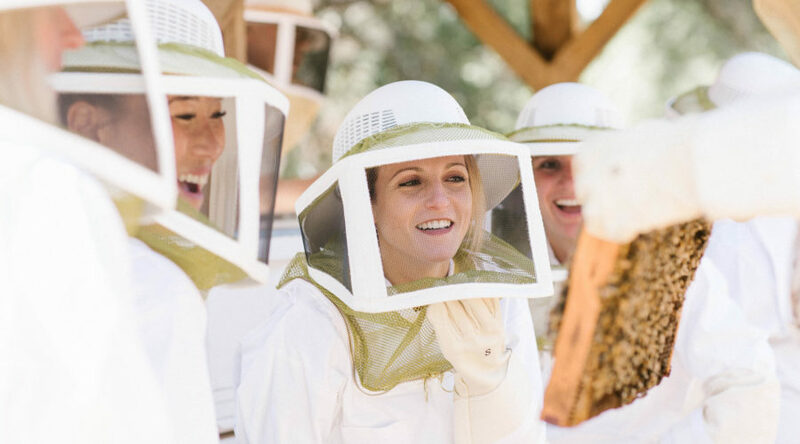 First, the Ojai Valley Bee Club kicked off in 2011 to promote all things local bees; then an ordinance was passed to allow for backyard beekeeping (now a popular hobby throughout town); and recently, the storied Ojai Valley Inn & Spa launched a beekeeping experience to school guests on the sweet insects’ lives, their importance in the ecosystem, population threats, and honey making basics. Local beekeepers lead the hands-on tour of the resort’s apiary (don’t worry: You’re covered head-to-toe, and the bees are chilled out with white sage smoke). After checking out the hives, you’ll sit down family-style to taste local honeys as the guide talks through the flavors and textures that differentiate each style. Chances are, you’ll walk away ready to start your own colony. Before Mexico’s Pacific Coast was capped with high-rise hotels, the seaside towns were quiet fishing villages. To get back to the heart of the matter, you need a sense of adventure and a little coordination. 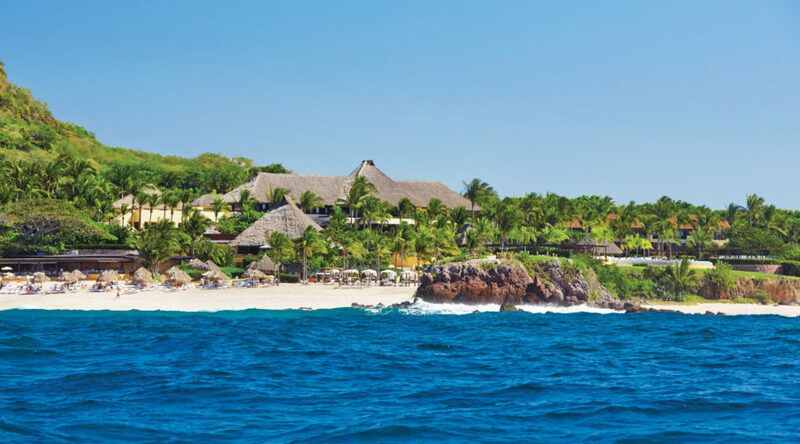 The Four Seasons Punta Mita’s Catch & Cook program goes beyond the standard rod-and-reel and trains you to spearfish for octopus or fish for mahi mahi, snapper, yellowfin—anything really, depending on what’s in season. After honing your skills with world-champ freedivers and fishermen, you’ll stalk the pristine Bay of Banderas for your catch, and then take it back to the hotel where a chef will teach you how to clean, prep, and cook your bounty. No previous experience required. 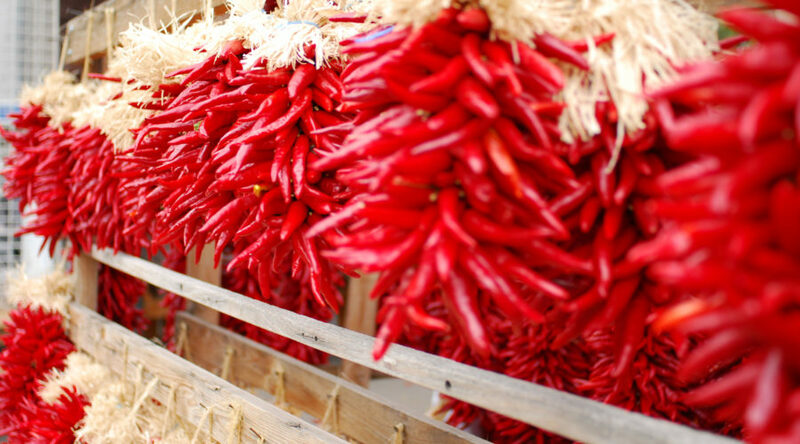 Chiles are a kitchen staple in New Mexico, where the crop is fair game for any recipe and people identify by the type of chile they favor (green or red—the battle is fierce). Figure out what side of the line you’re on during this bike adventure to six Albuquerque joints, each with its own take on the state treasure. Stops may include green chile bread at Golden Crown Panaderia, red chile-infused beer at Ponderosa Brewing, or chocolate-chile popsicles at Pop Fizz. Rides are hosted the last Sunday of the month, but you can also call to request an alternate slot. Just be sure you can handle the heat. It’s no coincidence that Within the Wild’s Tutka Bay cooking school is built on a former crabbing boat: The curriculum focuses on highlighting the Kenai Peninsula’s maritime culture with dishes like Dungeness crab croquettes, salmon curry, and a fisherman’s stew. You can sign up for one of the half-day crash courses that run on weekends and are open to the public. 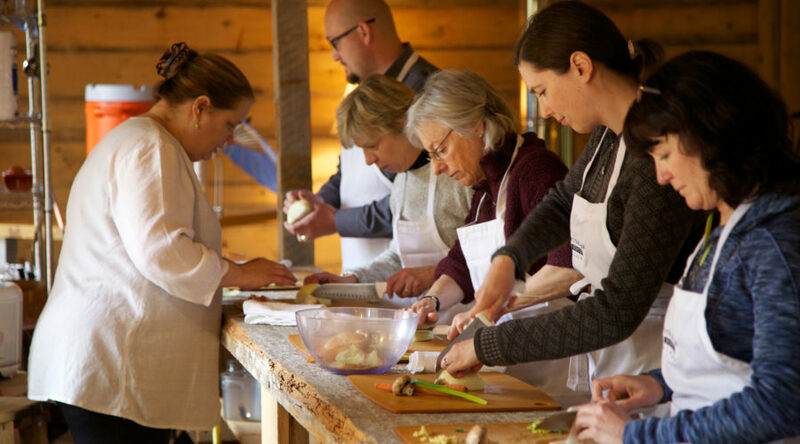 But if you can swing it, go all-in with a four-day retreat to learn to eat straight off the land. Cruise to oyster farms, forage for wild berries, and meet local farmers; then hone your skills in the kitchen as the Cordon Bleu-trained chef leads workshops on deboning and filleting your catch, cooking on camp-style burners, and churning out pared-down foods that let the ingredients shine. 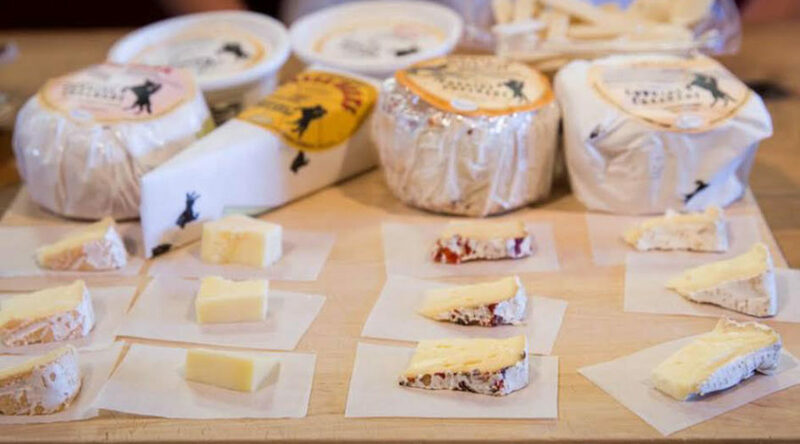 Although Marin County’s dairy culture goes back to the turn of the century with the European Gold Rush crowds, in recent years Marin County’s fromage scene has exploded with artisan makers and award-winning cheeses. Hitch a ride on the Cheese Lovers’ Tour to hobnob with cheesemongers, frolic on family-run farms, pet baby goats, and have a cheese-filled picnic in the countryside. Look forward to meeting folks behind some of the most influential spots, like Cowgirl Creamery and Point Reyes Farmstead Cheese Co. To top it off, you’ll be rejoicing in the Mediterranean climate and scenery that also helps produce these mighty fine cheeses. While the origins and superiority of mole are hotly debated (does Oaxaca or Puebla take both credits? ), no one denies the special-occasion sauce is super delicious and super complicated to make. Recipes can include up to 35 ingredients and many are hard to get outside of Mexico. That’s why this cooking class doesn’t just focus on making the goods, it also includes a visit to the local market, where many a good dish begins. 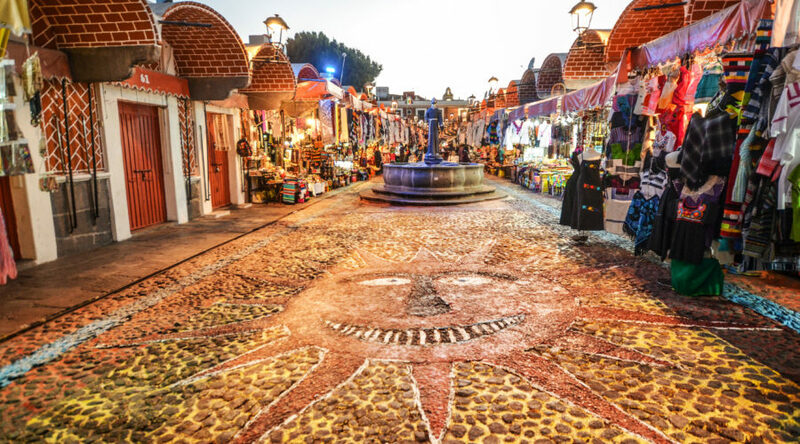 The whole experience runs about five hours, during which time you’ll walk the picturesque streets of Puebla (pictured) while a guide points out local hotspots, and make your own mole poblano (named for the town, not the pepper) using the chef’s family recipe. John Kallas may be one of the most trusted authorities on foraging in the region, which is why his workshops are a must for any aspiring gatherer. 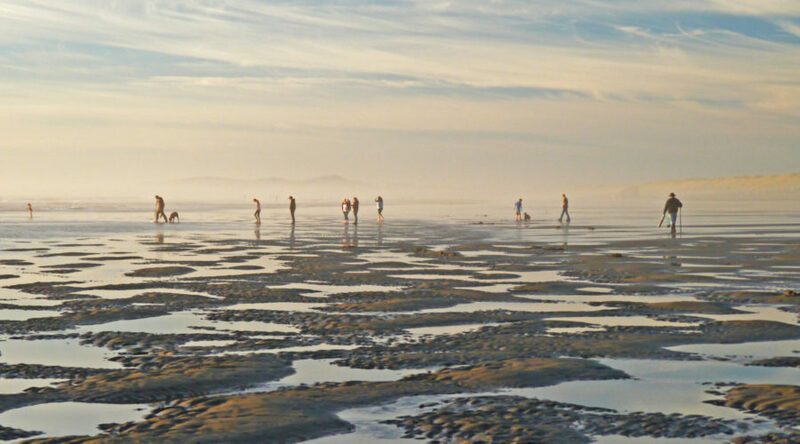 The lineup varies—from digging up clams in Tillamook to hunting wild berries on Sauvie (a.k.a. Wapato) Island to spotting hidden edibles in urban Portland—but all focus on helping guests make use of the overlooked bounty that grows all around. And, Kallas won’t just show you how to spot the goods. Sessions also cover etiquette for responsible gathering, prepping, and possible recipes.